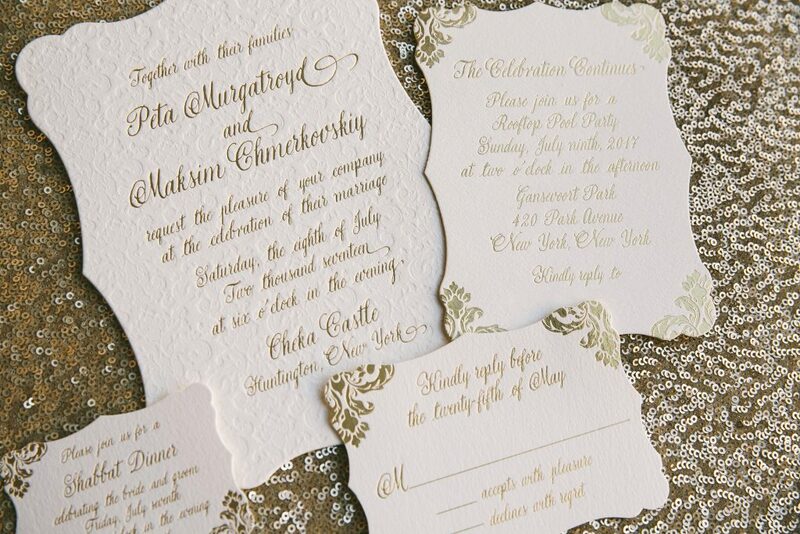 We were honored to work with Peta Murgatroyd and Maksim Chmerkovskiy to create these luxe custom wedding invitations for their July celebration at Oheka Castle. The Dancing with the Stars duo let their elegant venue inspire their invitations, which featured our Charleston die-cut shape and blind debossed damask patterning. 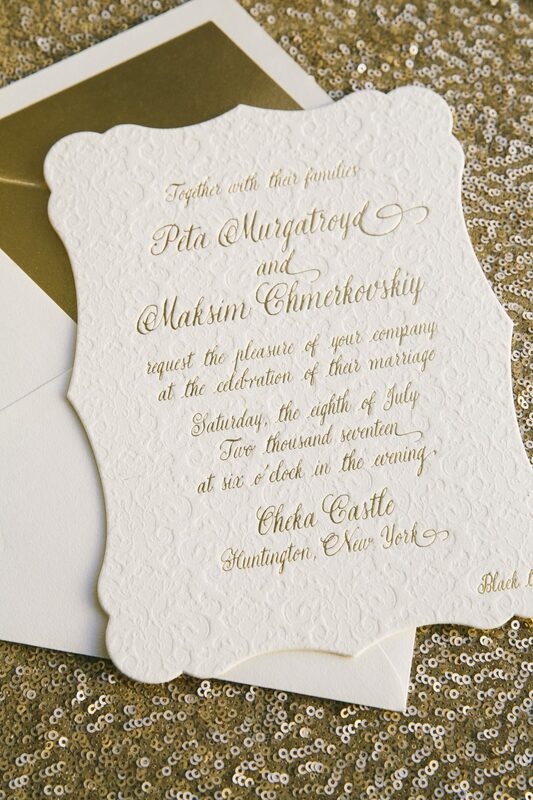 Peta and Maks chose a romantic script font for their text, which we printed in gold matte foil on our ultra thick 2-ply ivory cotton paper. We printed reply cards, Shabbat Dinner cards, and a farewell pool party invitation on our 1-ply ivory cotton paper to round out the suite. Many thanks to Maks and Peta for choosing us to help set the tone for their beautiful big day – it was an honor to be a part of this star-studded wedding! the invitation card looks stunning too!